Whether you are looking for an optical tube for your Lunt front-mounted h-alpha solar filter, a guidescope, or a portable celestial telescope that you can trick out the way you want, Lunt Engineering has the OTA for you. We offer three optical tube sizes: 70 mm, 80 mm, and 102 mm. All three are ED doublet refractors and are fully multi-coated. They come with a 2″ dual speed (10:1) Crayford style focuser for smooth and precise coarse and fine focusing. You will also receive a 2″ to 1.25″ adapter so that you can use both 2″ & 1.25″ eyepieces. 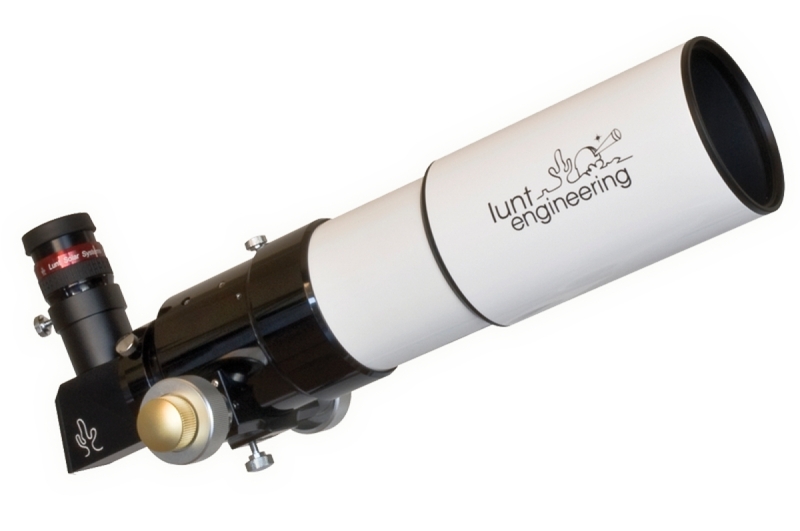 The optical tube assemblies are white powder-coated aluminum and sport the Lunt Engineering logo. A foam-fitted case is included in this package. With your Lunt Engineering OTA and a few extra accessories, you will be ready for just about anything…solar viewing, photography, celestial observations, terrestrial adventures, and more.